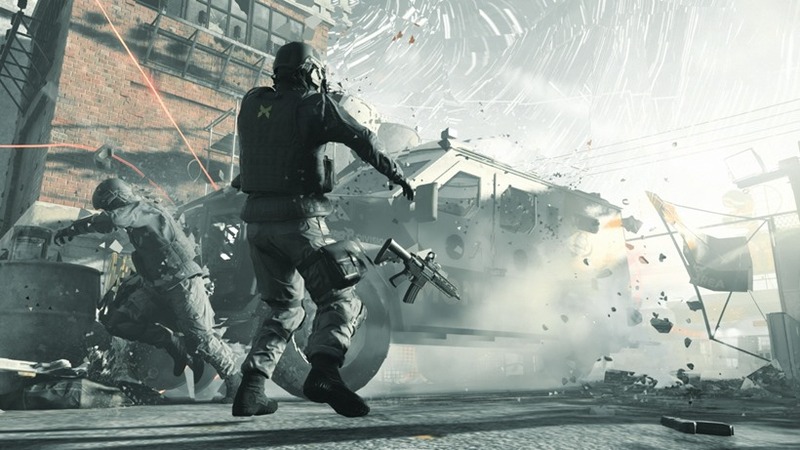 Quantum Break preview: do we have a timeless classic on our hands? 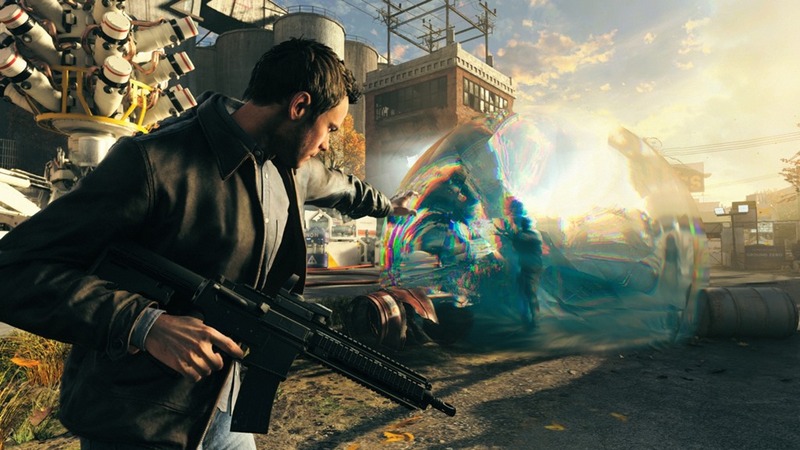 One title many were dying to get more information on at this year’s Gamescom is Remedy Entertainments upcoming Xbox One exclusive, Quantum Break. The creators of Max Payne and more recently, Alan Wake, have been hard at work on a new tale, where manipulating time is core to both the game’s mechanics and narrative. Beyond this, not much was known about the title. I headed into my appointment behind closed doors at the expo, hoping to find out a little more on what looks to be a fantastic third-person shooter. The thirty minute session was divided into two sections; a gameplay component and a segment on the live action series. For this article, I will be focusing on the gameplay specifically. 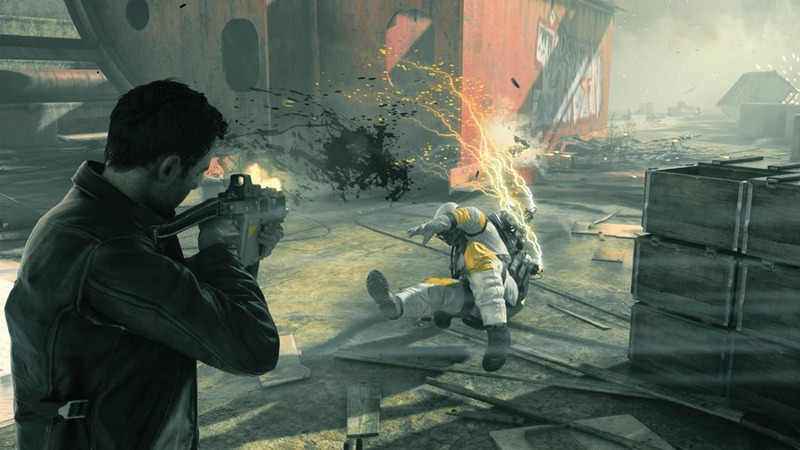 The Microsoft conference earlier this week showcased some new Quantum Break action. My behind closed doors session showed a little more of what happened after that particular section of the game. The demonstration kicks off with Jack Joyce, the protagonist, on the move and searching for Paul Serene, the game’s antagonist. My first thought is that for an early build of the game, Quantum Break looks phenomenal. I have no idea what resolution the final game will output at, but when it looks that good and runs as smooth as butter, what difference does it make? With so many months to go until release, the visuals will only be optimised further. After a few minutes of walking, Jack finds Paul, who immediately does something which opens up what is referred to as a time stutter. This is a state of paused time that, from what I can tell, makes the environment loop back and forth erratically from past to present (and vice-versa) in… well, real-time (I really hope that makes sense). The point is that we saw Jack having to navigate an environment that had large sections of structures, as well as huge containers, moving about and falling over, again and again, like a horribly scratched CD skipping repeatedly. The effect this had visually was incredibly unsettling. The falling surroundings formed I suppose, a sort of puzzle/platforming segment of the game. With so many natural hazards about, Jack is forced to make use of one of his abilities, a time dash, to put some quick distance between himself and the hazardous environment. Falling debris isn’t the only thing looking to kill Jack however. Soon, he comes across soldiers, some of which too are capable of navigating the stutter, but only thanks to the experimental time technology they have at their finger tips. Jack is forced make use of his dash once more to avoid incoming fire, and also his time shield ability, which as the name implies, deflects incoming fire. He also has a time stop ability that has a grenade area of effect of sorts – creating a bubble which stops enemies in their tracks… at least temporarily. While all of this certainly looks like immense fun, I can’t help but feel that Jack is maybe a little bit too strong. It seems far too easy to dash around and make quick work of any enemy. That’s just my impression though, I may be completely wrong – maybe the game will be really challenging. Regardless, if you enjoyed previous Remedy titles, Quantum Break should be right up your alley. It’s the love child of Max Payne and Alan Wake, with time manipulation thrown in for good measure. Knowing Remedy, it’ll have both fantastic gameplay (which from what we’ve all seen, looks to be that way), and definitely a strong narrative component. I can’t wait to get my hands on it when it finally releases on April 5th 2016! Next article FANTASTIC FOUR director implies that studio meddling ruined his movie!